FIRST TIME, I FELL IN LOVE AT 6. AND THEN AT 6:30. Love is more or less easy to picture. Embracing couples, cuddling couples, kissing couples, and then… well, then you have to go through an age check. Showing first love is difficult. I first fell in love when I was about 6 yo. It was a kindergarten love-affair that most people don’t remember anything about by the age of 18. Her name was Anna. She was slender, had a thick black plait, dark eyes and serious giggle. When she giggled she didn’t look stupidly snickering like other girls. She was – somehow – smartly ironic. I don’t remember her ever saying anything though. She must have said something at some point, but her huge black eyes were muting the sound by numbing my mind, I guess. When she was sick I was in love with another girl, Elena, who was plump, blond and was managing everything by talking a lot. She knew who should sit where, with whom, and say what. She’d always hold my hand, not letting me out of her sight and reach. I was seriously contemplating marrying them both. First love was about butterflies in the stomach (which is why pathologists hate to have first-time lovers among victims: too much fuss catching’em butterflies). First love was about feeling morbidly sick, because something was happening to the body and I didn’t know what it is and if it could be cured. First love was about feeling immortally strong and able to support a family of two very different wives. There are plenty of adult versions though. 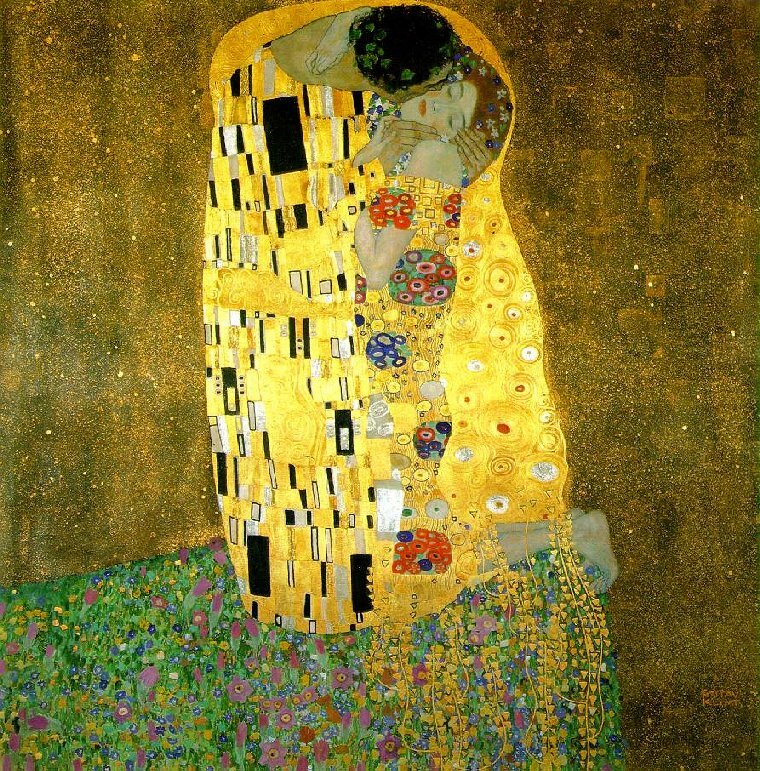 Rodin did it with the Kiss. 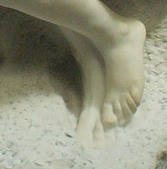 Art makes you think people experience first love when they are adults only. I am a witness to the falsehood of this concept! Thank you, the Daily Prompt for inspiration! This entry was posted in Art, Surprising Life and tagged DAILY PROMPTS, First love, Inspiration, Love, Post Idea, postaday, WRITING PROMPTS on February 14, 2014 by artmoscow. Thanks for stopping by my blog, but more than that thank you for your blog. It is inspiring, informative, and very good. I’ve leaned more about art in ten minutes on your site than I have in ten years. It’s not the I was trying to learn, but you presented it so simple, honest, and authentic. Thank you! You are very kind )) I’ve been following you since the day you’ve been FP’ed – and I only wish I was reading you more often – enjoying the stories and the language. Good job relating personal experience to art, I certainly agree that juvenile depictions fail miserably. 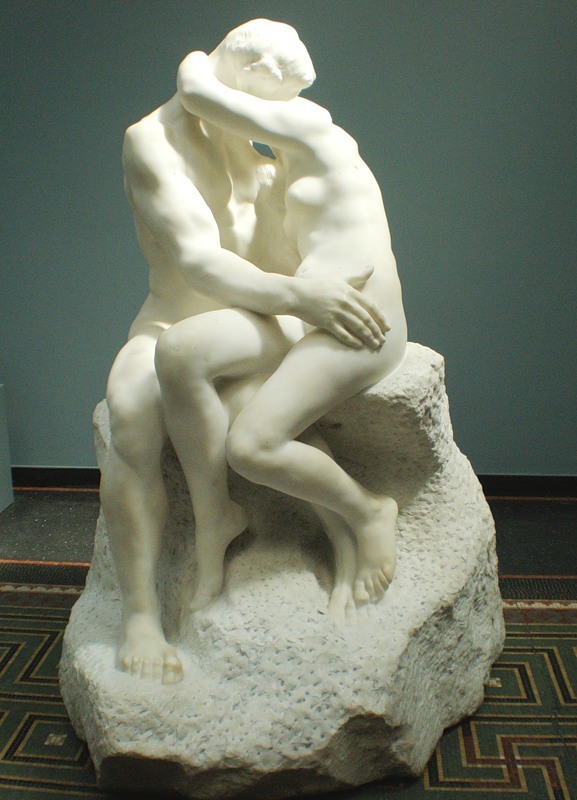 I never appreciated Rodin’s Kiss until after having read Dante and learning in the footnotes that the scultpture depicts Paolo and Francesca. 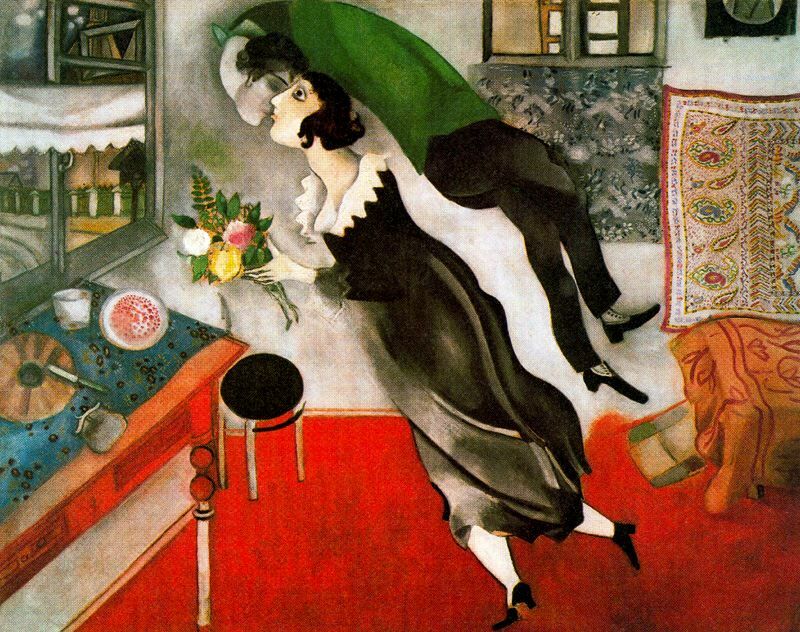 I’m also glad to see Chagall included in this. Seeing him honored in the Sochi ceremony during the Cyrillic acrostic sequence was a very pleasant surprise. I had always felt he was underrated, but that made me seem to think that was only the case in America or out of Russia anyway. I also clearly remember my 5-6 year old love triangle. Did Anna ever come back? Her parents moved to another district, I’ve never seen her since 😉 I remember seeing Elena occasionally though, she used to live in the same apt block as my parents. I am sure she can’t be married unhappily.